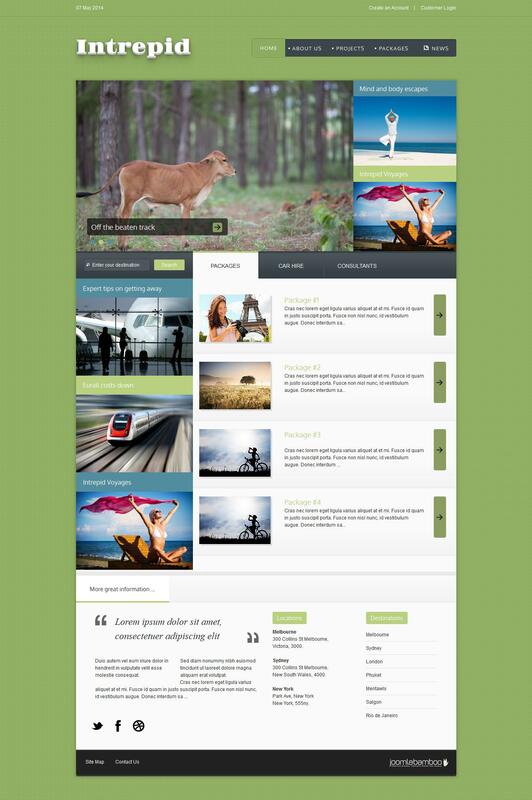 JB Intrepid - beautiful pattern from the creative team of developers JoomlaBamboo, which is perfect for creating business projects, news portals, websites, portfolio or personal blogs. Gorgeous design template in conjunction with 26 color schemes, 9 background images and display support on various devices (iPad, iPhone and mobile phones) to make a special pattern flexibility and versatility. In addition, the template presented studio image rotation module Zentools, providing a spectacular feed materials on the site. Also, developers have added support for a new theme for the component K2 - Zenkit, which is a set of autonomous design templates materials capable of giving any site an elegant appearance.